Interactyx, the developer of TOPYX LMS, earns the 790 ranking in 2014's Inc. 5000 list with 579% three-year revenue growth. 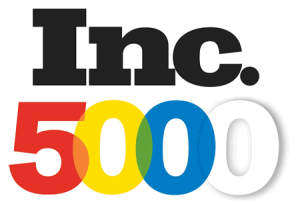 BONITA SPRINGS, FL – August 20, 2014 - Interactyx is excited to announce it has earned the position of 790 in Inc. magazine’s Inc. 5000 listing of fastest-growing private companies. For 33 years, Inc. has welcomed the fastest-growing private companies into a very exclusive club. Interactyx is the developer of TOPYX®, a leading social learning management system (LMS) software. TOPYX is an award-winning and comprehensive software-as-a service (SaaS) eLearning platform which engages learners and provides collaborative learning environments for businesses, associations, nonprofit organizations and eCommerce needs of any size throughout the world. TheInc.5000 ranks the top5000 fastest-growing private companies as determined by Inc. magazine, and also features a special ranking of the top 10% of the list as the Inc. 500. The Inc.5000 is ranked according to percentage revenue growth over a four-year period.